Two days ago while I was parked in downtown Durham for a show at a local bar when my car was broken into and my laptop was stolen, so I’m writing this from a friend’s laptop. While this loss is distressing on a number of levels, it has been interesting to realize that the greatest feeling of loss is for my collection of MP3s. It has been approximately a 10 year project amassing my DJ collection of swing tunes and the amount of work that was just stolen in my cheap laptop is hitting me pretty hard. My collection has been with me through 4 homes, 3 laptops, 3 cars, a radical career change, and a half dozen or more romantic relationships. I can remember when I first decided to convert my collection to MP3 and after ripping everything at a lower quality, chose to start over and spend my free time for an entire week patiently sitting at my desktop transferring CD after CD in and out of the drive, hitting rip MP3s, and waiting to start the next disc. Since then, I’ve spent countless hours acquiring music, ripping CDs, tapping out BPMs, and cataloging, tagging, and organizing my collection. As much as I found the process tedious at times (and honestly, I think I had only managed to keep up with rating and tagging about 20-30% of my collection), I am realizing that it also created a bond that I didn’t fully recognize until now. 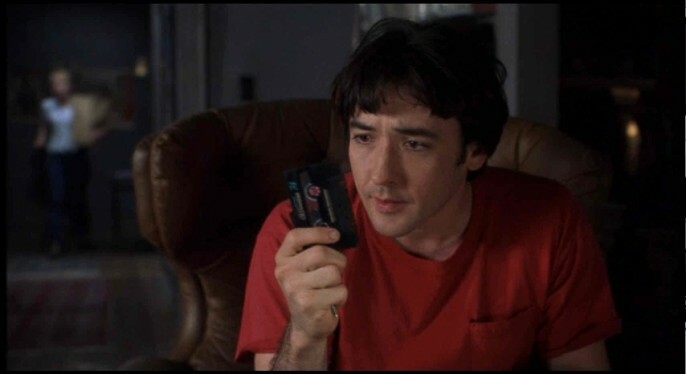 It has been a bit of a High Fidelity moment for me to realize how much of a role my music collection has played in my life. If I hadn’t jumped into collecting music when I started, I’m not sure Rob Moreland would have ever asked me to start DJing so many years back. When I was a year into dance and starry-eyed about Paul and Sharon’s dancing and teaching, my music collection was a way to connect with that and Sharon was the first DJ I emulated in style and collecting. This lead to Chris Owens dubbing me “Bluesberry Muffin” when I DJ’d which lead to a great number of formative conversations about energy and drive in music. Then there are forays into tango, getting deeper into vintage music, etc. etc. I can effectively trace the 11 years of my dancing (even my burned out year) through my music collection. And it’s not just a matter of my music mirroring my DJ trajectory, it has also driven my dancing. As I found music I liked, I felt driven to learn to dance to it too. It drove my dancing into trying to make my movements sharper or softer, helped me figure out pulse, and has recently been driving me to play with Charleston again. My music (and a few excellent historians) have inspired me to learn more about the musicians who do these incredible recordings which in turn inspired me to start running RDU Rent Party dances with Laura Windley and to love just sitting and watching musicians play when I’m not dancing. My music has shaped not just my movements, but where I have gone as a person. In the last 2 days as I’ve shared my distress, a great number of DJs have offered to help by giving me music. As much as I appreciate the support, it’s interesting to note how wrong it feels to think about accepting that help. As much as I don’t relish the thought of re-ripping all the CDs I still have, that ritual seems like an important piece of rebuilding. And the thought of DJing off someone else’s music seems akin to taking a friend’s girlfriend to prom. And while it’s nice to know I have the sort of friends who would make that offer, it occurs to me in a very visceral way that if I DJ with someone else’s music, then it’s no longer telling my story with my words (or songs, as it were). Oh, man, this is my worst nightmare – sorry for your loss; it must be heartbreaking. I do have online backup and save my music to an exterior hard drive intermittently, which I keep in a fireproof safe, but even those aren’t foolproof. But you will rediscover music you’d forgotten you have when you re-rip your CD’s! You always see the best in the worst scenarios, which is just another reason I find you to be so awesome >>>>Squeeeeeeeeeeeezes<<<<< as you journey down this path of rediscovery. Oh Man! I’m so sorry this happened. I had my laptop stolen too at the beginning of the year and I lost many, many photos which I can’t replace. I’m uploading to the big cloud in the sky these days, but it has been a pretty big lesson in staying unattached to stuff and being in the present moment. I’m looking forward to listening to your new story! Friend – as a swing DJ myself, I get the loss and hurt involved. Also, the loss of faith in humanity when your personal property was stolen. If I can help you at all, please let me know. I feel really sorry for you! Don’t forget to get a NAS or an external hard drive to mirror your files next time. Good luck with the rebuilding! Dear Jason, From someone who has been there since you started, DJing, Teaching, Dancing…. I have to say, you have grown SO MUCH to find the beauty and love in something that could have been seen as only tragic. You are an incredible person!